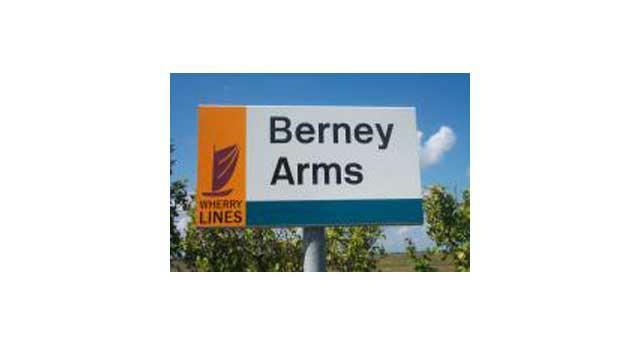 Berney Arms Rail Station Railway StationBerney Arms Rail Station stands in the middle of Halvergate marshes and two miles from any road access. To arrive there it is necessary to travel by foot, following the Weavers' Way from Halvergate or Great Yarmouth. Of course you could arrive by train, ensuring that you've informed the driver beforehand as stops are only made on request. The only other way there is to come by boat as many are inclined to do in the summer months. 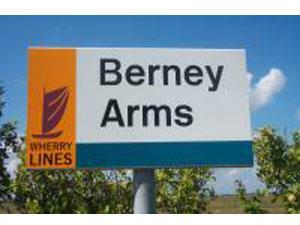 Berney Arms Rail Station stands in the middle of Halvergate marshes and two miles from any road access. To arrive there it is necessary to travel by foot, following the Weavers' Way from Halvergate or Great Yarmouth.